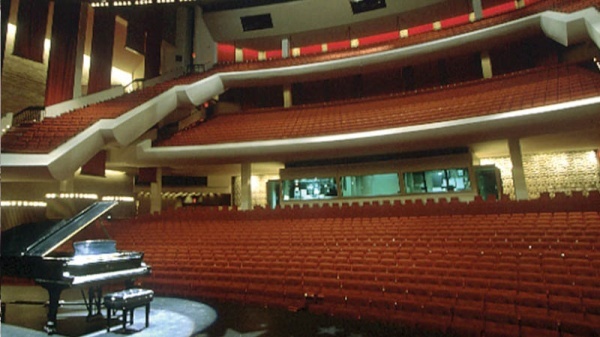 The Tennessee Performing Arts Center (TPAC) is one of the most unique facilities of its kind in the United States. 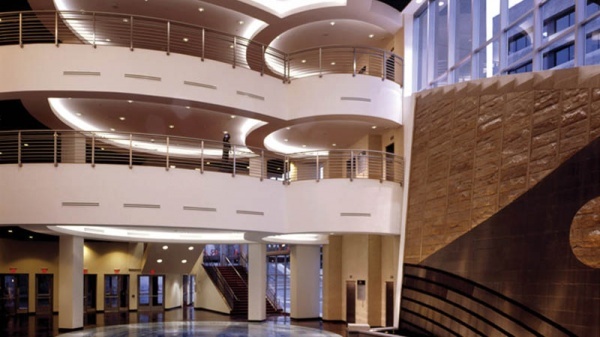 TPAC is home to three beautiful spaces with multiple, state-of-the art capabilities. TPAC is located near the state capitol in downtown Nashville, within the James K. Polk Cultural Center and State Office Building, which also houses the Tennessee State Museum. In addition to the facilities within the arts center, TPAC manages War Memorial Auditorium, a multi-purpose space within the historic landmark across the street. TPAC accommodates major music, dance, theatrical, and television productions, along with performances in intimate settings and a wide variety of such events as award ceremonies, films, pageants, recitals, product launches, receptions, and meetings. All performances open to the general public are featured on TPAC’s electronic marquee, while clients have access to interior plasma screens for special acknowledgements if desired. Andrew Jackson Hall, where TPAC Broadway season is presented, is a spacious proscenium theater with continental seating. The stage is 130’10” wide and 53’1” deep with a 57’4” x 36’0” proscenium opening. An orchestra shell is available for use if desired. With a maximum seating capacity of 2,472, including 47 pit seats, Andrew Jackson Hall is TPAC’s largest facility. TPAC is located in the James K. Polk Cultural Center at 505 Deaderick Street in downtown Nashville, occupying an entire city block between 5th and 6th Avenues and Deaderick and Union Streets. Also housing the Tennessee State Museum, the cultural center adjoins the 18-story James K. Polk State Office Tower. From I-65 travelling north, follow the I-40 West/I-65 North split. Take Exit 209 (Church Street/Charlotte Avenue). Pass through the first two stoplights. At the third stop light, turn right onto Charlotte Avenue. Then, turn right onto 6th Avenue. At the three-way stop, TPAC is diagonally on your left at the corner of Deaderick Street and 6th Avenue. From I-65 travelling south, follow I-65 South/I-40 West to the I-40 East/I-65 South split. Take Exit 209 (Charlotte Avenue). Turn left at the first stoplight onto Charlotte Avenue. Then, turn right onto 6th Avenue. At the three-way stop, TPAC is diagonally on your left at the corner of Deaderick Street and 6th Avenue. From I-40 travelling east, take Exit 209 (Charlotte Avenue). At the stoplight, turn left onto Charlotte Avenue. Then, turn right onto 6th Avenue. At the three-way stop, TPAC is diagonally on your left at the corner of Deaderick Street and 6th Avenue. From I-40 travelling west, take Exit 209 (Church Street/Charlotte Avenue). Pass through the first two stoplights. At the third stoplight, turn right onto Charlotte Avenue. Then, turn right onto 6th Avenue. At the three-way stop, TPAC is diagonally on your left at the corner of Deaderick Street and 6th Avenue. From I-24 travelling west, merge onto I-40 West (towards Memphis) at I-40/I-24 split. Follow the I-40 West/I-65 North split. Take Exit 209 (Church Street/Charlotte Avenue). Pass through the first two stoplights. At the third stoplight, turn right onto Charlotte Avenue. Then, turn right onto 6th Avenue. At the three-way stop, TPAC is diagonally on your left at the corner of Deaderick Street and 6th Avenue. From I-24 travelling east, follow the I-65 South/I-40 West split. Follow I-65 South/I-40 West, turning onto the I-40 East /I-65 South split. Take Exit 209 (Charlotte Avenue). At the stoplight, turn left onto Charlotte Avenue. Then, turn right onto 6th Avenue. At the three-way stop, TPAC is diagonally on your left at the corner of Deaderick Street and 6th Avenue.